Note: File Data tải về chuyển vào thư mục /Android/obb/com.artifexmundi.balefire. Darkness has come all over the kingdom of Ezura. The merciless Betrayer shattered the last men and started a strong-arm régime. You, the last of the Bladebound, are the only hope for bringing back the light and becoming a hero. Embark on the final battle with the mysterious Sentinel and defeat the evil once and for all! 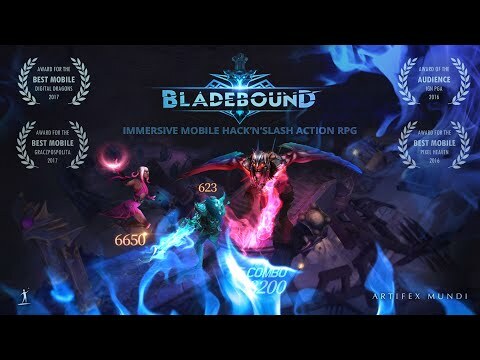 Bladebound is a dark and dynamic action-RPG with a spectacular battle style, hundreds of fastidious opponents and console-quality graphics. Join thousands of players who fight together to save the Shattered Lands!